People can't stop talking about this top rated 2019 Toyota Camry SE. MOONROOF PACKAGE, CONVENIENCE PACKAGE, AUDIO PACKAGE, ALL-WEATHER FLOOR LINER PACKAGE , SPECIAL COLOR, REAR BUMPER APPLIQUE (BLACK), BLIND SPOT MONITOR W/REAR CROSS TRAFFIC ALERT, Window Grid Antenna, Wheels: 8.0J x 18" Black Machined-Finish Alloy, Variable intermittent wipers. 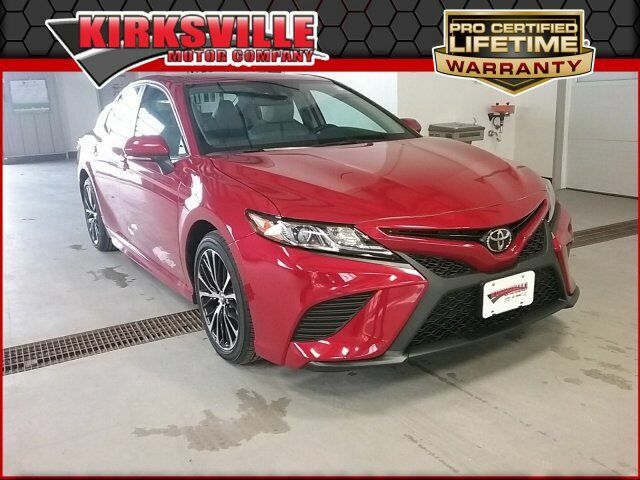 Stop by Kirksville Motor Company located at 3607 N Baltimore St, Kirksville, MO 63501 for a quick visit and a great vehicle!